A novel in which an English nurse brought to a small Irish village in 1859 to observe what appears to be a miracle-a girl said to have survived without food for months-soon finds herself fighting to save the child's life. ...[an] exquisite new novel ... These rooms of Donoghue’s may be tiny and sealed off, yet they teem with life-and-death drama and great moral questions ... Donoghue manages to engage these larger mysteries of faith, doubt and evil without sacrificing the lyricism of her language or the suspense of her story line. Anna may or may not be a genuine 'living marvel,' but The Wonder certainly is. ...a fine work, adept and compelling in voice, plot, and moral complexity ... Donoghue tightens the tension, gradually adding small elements that in the end will come together in a sad and frightening picture, one tinted with the dark shades of Ireland’s brand of misogynistic, flesh-denying Catholicism ... Donoghue deals out the cards with real skill. If the ending itself does not seem entirely believable, I, at least, could not have wished it arranged otherwise. The Wonder is a narrative vortex within which the old authority of religion and the new authority of science are simultaneously shattered … Donoghue’s decision to invent an Irish fasting girl in 1859 allows her to evoke a religious and spiritual culture within which extreme fasting could still be viewed as wondrous rather than pathological … The perversity of self-starvation in a setting where the Irish Potato Famine claimed a million lives from 1845 to 1852 is subtly handled by Donoghue. Lib is irritated by ‘Mr. 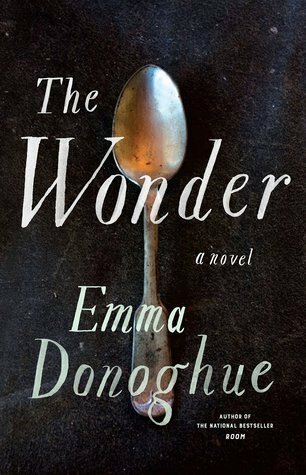 Eliot’s moralizing’ in Adam Bede, and Donoghue avoids any moral comment on her character’s refusal of food in a country so recently blighted by famine … The Wonder recalls the claustrophobia of Room and is in some respects a more self-consciously literary repetition of its best-selling predecessor. 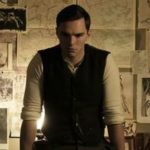 What did you think of The Wonder?